I was recently given the opportunity by Tiffany at Obessedlook.com to review 2 Sigma Brushes of my choice and of course, I chose two Sigma Tapered Blending Brushes, the #E35 and another is the #E40. 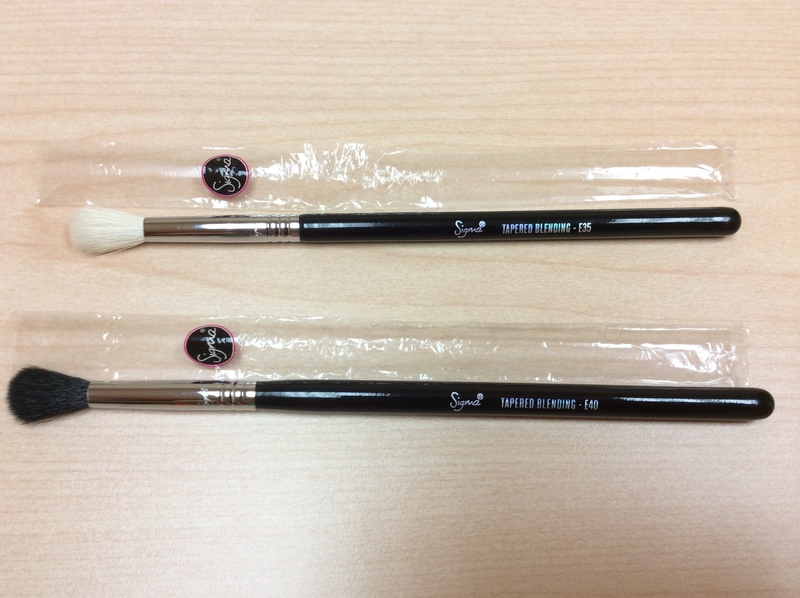 I was so excited to learn that I would be receiving these two brushes and that I was to give my thoughts on them. Now that I have my very own Sigma Blending Brushes I feel like my make up has been applied by a professional. Lets just say I love the way the #E40 brush applies the product to my eyelids with just the right amount of product and if I want to build, its possible and the results are amazingly precise. The #E35 brush is soooo soft and fluffy and feels like and fairy is applying my makeup every so gently, seriously its soo soft and blends out the color excellently. When I opened up this brush for the first time, all I did for the first few minutes was swipe it back and forth on my eyelid and examined the brush itself. Each brush has the shiny Sigma logo on both the handle and ferrule. So beautiful. I am recommending that if you are planning to add a new blending brush to your collection, definitely try out the Sigma Brushes at Obsessed Look, you will be happy with the purchase. I’m so happy that my first experience with Brand Name Brushe would be with Sigma…ahhhh how awesome is that. Anyway, the short of it is that I use the #E40, to apply my eye-shadow in my crease and then I blend it out with the #E35 and the end results are fabulous. Well OMG! Kat Von D is on a roll and hit a home run with this gorgeous long-lasting matte, soft pearl and high glitter eye shadow palette. The shadows apply very smooth, blend well, are full coverage and the shades are just stunning: SELENA is a purple glitter – deliciously awesome; GALORE is a pearl peach shade – rich peach color is my description; PLACEBO is described as a matte peony pink – absolutely yummy; SANTERIA is a fabulous green / grey glitter and is great for the outer corner of the eye; breath-taking; DOGROSE is a nice sparkly bronze color and the only color I have not tried; now this last color is described as being a transforming shade that is an iridescent white, the DAYGLO it is supposed to add a unique dimension to the colors after layering, however, I really don’t get what they mean by this, anyway its a great highlight color. 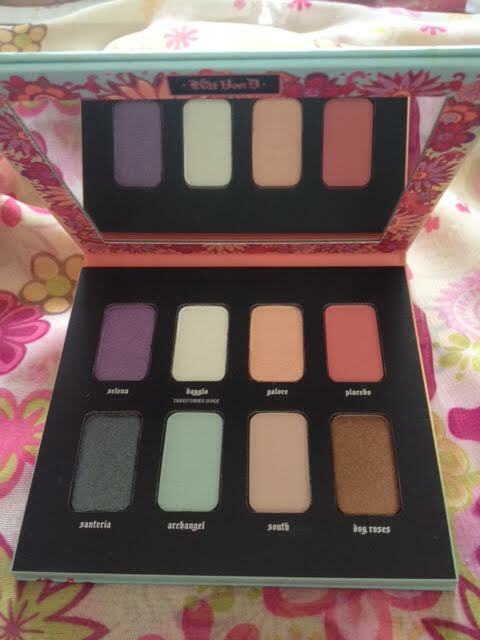 I was so excited when I finally received this new Spring 2014 Kat Von D palette in the mail and am loving it so far. I am amazed at how well and easily the colors blend together and I am enjoying experimenting shades with this palette. Another must have for your makeup case. Heyyy! 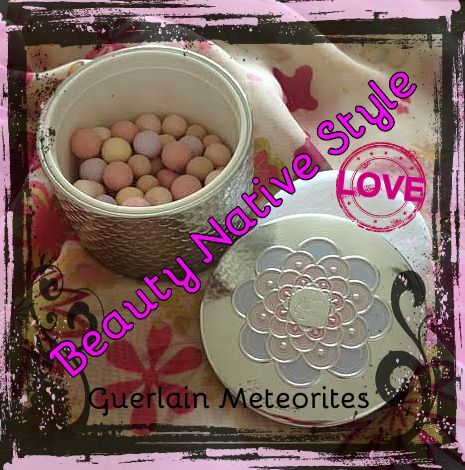 Last Wednesday, I received a package in the mail and the Guerlain Meteorites were inside the box. I had been waiting and tracking this order for a week and I finally had the product in my hands. I handled the Guerlain Box as though it were delicate crystal and when I opened the round sliver Guerlain logo’d container, the first thing that I noted was the fragrance. Now I know what other’s mean when they try to describe the scent. To me it was like taking a flash back trip to grade school and the scent that my grade one teacher had. I remember her and this scent and recalled how beautiful she looked. 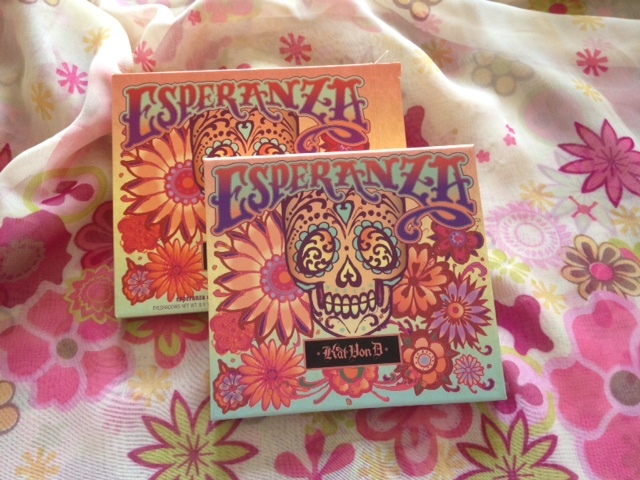 Well, that’s was my first impression and then I applied it on my face and OMG it is just fabulous. I bought a blush brush just for the Guerlain Perels and it applied so well and gives off a very light sheen to my skin and blended everything so well. I just love my perels and often go to my room just to hold the container in my hands, open the box, and take in the fragrance – the scent is amazing. I think it would make a great addition to anyone’s makeup routine and a definite must have. Bye for now. Here is one fabulous product that I would like to introduce and give you may thoughts on. The first thing that struck me is the packaging, oh so shiny and smooth. Once that’s done, I open the compact to reveal a nice golden beige powder that is fragrance free, however I do think that it gives a ever so slight floral scent. The Hourglass Ambient Lightening Powder is a finishing powder that features state-of-the-art technology to recreate the most exquisitely flattering types of light. I apply this powder after I have applied my foundation to soften the way the light reflects off my skin leaving a refined finish appearance. It is simply gorgeous and I love it. There are 5 other shades of Hourglass Ambient Lighting Powders and each shade has their own way of working on your skin. I have the Radiant Light. Good Job Hourglass, this product is absolutely fabulous in my books, as it gives my skin a radiance that I need to bring out my inner glow spirit each day. 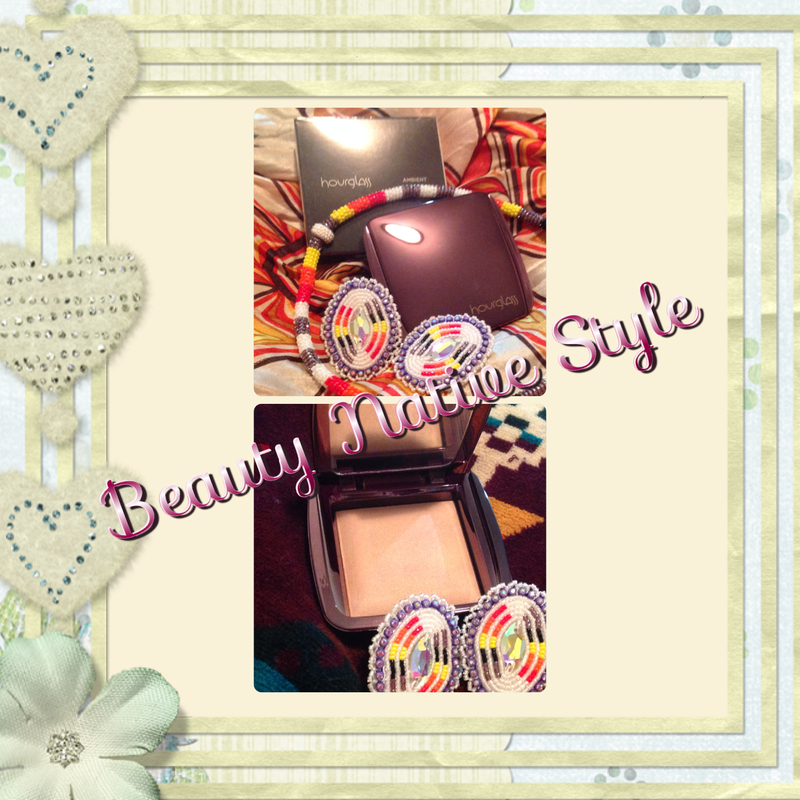 I have been reaching for the Ambient lighting powder on a daily basis and will continue to do so, as I just love this product. A definite “Must have”.